The new Steinway & Sons Spirio is the world's finest high resolution player piano. A masterpiece of artistry and engineering in your home, Spirio enables you to enjoy performances captured by great pianists — played with such nuance, power and passion that it is utterly indistinguishable from a live performance. Spirio, a handcrafted Steinway like all others, is the next step in Steinway's history of ceaseless improvement in its mission — declared by Henry E. Steinway, "to build the best piano possible" — and brings the unparalleled craftsmanship of the Steinway piano to your home coupled with cutting-edge technology and the peerless musicality of Steinway Artists. At the touch of the iPad provided with the Steinway & Sons Spirio, the Spirio app connects you to hundreds of performances, bringing your Steinway grand piano to life. This exclusive Spirio library, which is regularly and automatically updated, features everything from J.S. Bach to Irving Berlin to Billy Joel, and unlocks the furthest reaches of the instrument's expression, regardless of your playing ability. Steinway & Sons Spirio is launching in new cities around the globe every day! As the Spirio community and music library continues to grow, stay on top of fresh openings and developments — and learn about the Spirio catalog additions, upcoming Spirio events and concerts featuring rising and established artists. What is the Steinway Spirio? The Steinway Spirio is a new high-resolution player piano that provides an unrivaled musical experience, indistinguishable from a live performance. Steinway Spirio brings your piano to life with the world’s greatest music, independent of the listener’s playing ability. How Does Steinway Spirio Work? The technology used in the Steinway Spirio utilizes a proprietary high-resolution software system along with solenoids (a current-carrying coil of wire) that actuate each note on the piano, and two pedal solenoids. The technology was developed in a partnership between Steinway & Sons and Wayne Stahnke, a pioneer of the modern player piano system. Is the Hardware Visible on Steinway Spirio? No, unlike other systems there is no mounted hardware visible on the piano. The only visible presence is the power cord. The Steinway Spirio system is installed directly into the piano itself at the time of manufacture, ensuring no alteration in the exterior beauty nor the performance you expect from any Steinway & Sons piano. Is the Steinway Spirio Available on all Steinway & Sons Models? Can Pianos be Retrofitted? The Steinway Spirio is only available on instruments that are handcrafted in the Steinway & Sons factory by Steinway artisans. The Steinway Spirio is installed at the time of manufacture and existing pianos cannot be retrofitted. Three models will be available with the Spirio system: Model B (Classic Grand, available worldwide), Model M (Studio Grand, available in select U.S. and Canadian markets), and Model O (Living Room Grand, available in select European and Asian markets). How Does the Steinway Spirio System Differ from Other Player System Pianos? While many earlier player piano systems rely on midi data files (compressed, low-resolution data files) and others rely on even lower resolution files for playback, Steinway & Sons is recording at the highest resolution possible, and has created a proprietary data file format that captures the nuances and full range of emotion from each artist’s performance. This superior level of playback is made possible through a combination of proprietary high-resolution recording technology, and the Steinway Spirio’s ability to replicate smaller increments of velocity on both the hammers and proportional pedaling. The fact that the recordings are recorded and played on a Steinway & Sons piano exponentially increases the differences in performance quality when compared to existing products. So What is the Ultimate Difference Between the Steinway Spirio and Other Player Systems? There are three main points of differentiation. First and foremost, the Steinway Spirio is ultimately a Steinway & Sons piano; possessing the same level of painstaking craftsmanship that goes into every single piano the company produces. Second, we have perfected technology to capture a range of subtlety and nuance that has never before been possible. Third, owners will have access to the entire high-resolution repertoire recorded in the Steinway & Sons Studios by a roster of over 1,700 Steinway Artists, exclusively for the Steinway Spirio. How do Users Purchase Music for the Steinway Spirio? Is There a Difference Between Other Systems? Some users of other player piano systems are required to purchase music online or via a disk, and then upload it to the piano’s hard drive. Many of these files are in Midi format (compressed, low-resolution data files), which play notes but lack the nuance of the high-resolution Spirio recordings, therefore offering an experience that is less than performance quality. Steinway & Sons will not offer MIDI files for the Steinway Spirio to ensure an uncompromised experience. Steinway Spirio users can access the music through the Steinway & Sons App on their iOS device (an iPad comes with Steinway Spirio at the time of purchase). There is no extra fee and nothing to download since the music catalogue lives on the App. New music will be continually added to the Steinway Spirio library and seamlessly updated on users’ iPads, ensuring they always have the most current collection of available Steinway Spirio music. 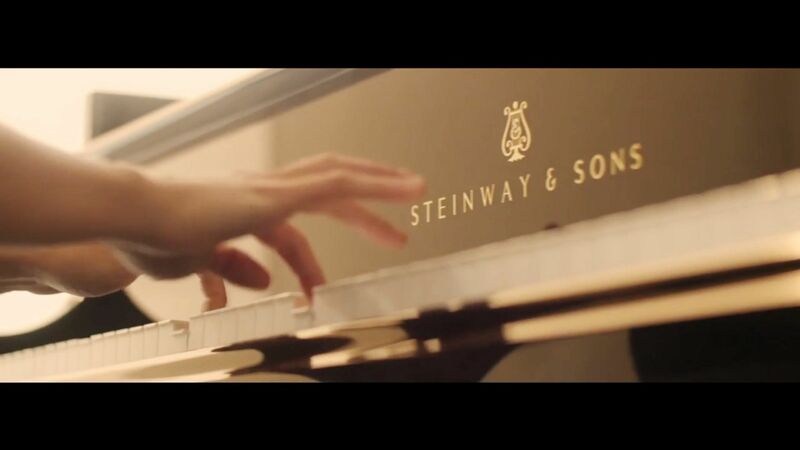 How Does the Steinway Spirio Capture the Music? The Steinway Spirio system measures the velocity of the hammers and the positioning of the damper lift tray and key shift, capturing the emotion and subtle nuances of a musician’s performance and not just a recording of the notes. To ensure superior quality, all recordings are being made on a Steinway Spirio specifically for playback on a Steinway Spirio system. How do you Operate the Steinway Spirio System? The Steinway Spirio system is operated through the Steinway Spirio App, which provides a seamless interface to the piano and is both intuitive and easy to use. With the accompanying iPad, you control the music, the mood, and the volume with just a swipe of the finger. What Music Will be Available for the Steinway Spirio? The Steinway Spirio library will be comprised of performances by Steinway Artists. Music will be recorded in the highest possible resolution, across music genres, enabling customers to experience the fullest extent of their Steinway Spirio’s unique capabilities. In addition, through the use of Zenph technology, Spirio will include select performances from historic artists like Glenn Gould, Sergei Rachmaninov and Art Tatum. How Much Music Will be Available? The Spirio music library contains over 130 hours of content with over 2,000 music files available in the core music catalog. The library will continue to grow as we record more artists and Spirio owners will be given access to all new recordings as they are made. Who is the Audience for This Type of Instrument? The audience is comprised of those who have an appreciation and passion for the arts, with music playing a key role. They value uncompromising craftsmanship and quality, as well as authentic and unique artistic experiences. This could mean professional pianists, families, and music educators, as well as those that simply have a love of music, but do not know how to play the piano. How Does Steinway Spirio Make Listeners Feel? Steinway Spirio transports the listener to any of the world’s greatest concert halls, without leaving their home. Because Steinway Spirio provides such rich and emotionally nuanced playback, listeners will feel as though the piano is being performed live by an artist. How and When Would You Use Steinway Spirio? Steinway Spirio is meant to be a central part of the user’s life, to be played any time that one might listen to music, such as relaxing with family or entertaining guests. So Why Now? Why Introduce a High-Resolution Player Piano? Steinway & Sons is renowned for connecting the listener and the artist as only the world’s best piano can, and the Steinway Spirio is another example of that. We simply could not introduce a player piano system until technology existed that met Steinway’s highest standards; producing uncompromised sound quality and an exact facsimile of a live performance. What Does the Name Steinway Spirio Mean? Steinway Spirio is an abstract reference, related loosely to the Latin word for “breathe.” Steinway Spirio suggests a number of sentiments that are closely tied to how we connect to and through music — through inspiration, spirit, and experience.